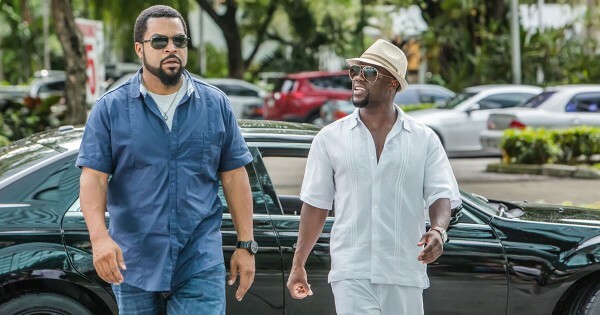 Universal Pictures has announced the home media release dates for Ride Along 2 starring Kevin Hart and Ice Cube. The film will first be released to Digital HD on April 12, followed by Blu-ray, DVD and On Demand on April 26, 2016. The 2-disc Blu-ray Disc edition may be worth the longer wait. Not only does it include DVD and Digital HD copies of Ride Along 2 but it’s also loaded with extra content. Bonuses on both the Blu-ray and DVD include deleted scenes, a gag reel, and a police department recruitment video with Ben & James. Also included is the car chase featurette “Inside Black Hammer Vision,” a look at the chemistry behind the film’s co-stars in “Kevin & Cube: Brothers-In-Law,” and feature commentary with director Tim Story. The Blu-ray Disc is formatted in 1080p at 2.40:1 aspect ratio with a DTS-HD Master Audio 5.1 soundtrack. Ride Along 2 also stars Ken Jeong (The Hangover, “Dr. Ken”), Olivia Munn(“The Newsroom,” X-Men: Apocalypse), Benjamin Bratt (Despicable Me 2, “Law & Order”), Sherri Shepherd (“The View,” “30 Rock”) and Tyrese Gibson (Furious 7, Transformers). Ride Along With Us – Ben & James host a police department’s recruitment video. Behind the Scenes of Ride Along With Us – Go behind the scenes as Ben and James go in front of the camera to film their police department recruitment video. Kevin & Cube: Brothers-In-Law – One of the secrets behind this franchise’s success is the chemistry between Kevin and Cube… Filled with plenty of jokes, lots of banter, and lots of loving insults, this piece won’t talk about how much they loved each other… it will show it. The Ride Diaries – Go on the set with Ice Cube, Kevin Hart, Will Packer, Tim Story and the whole cast & crew and experience the fun, excitement and action involved in creating some of the film’s most dynamic scenes. The New Recruits – For this sequel, Tim Story and Will Packer knew that they had to up the ante and push the characters even further. One of their key tactics was to introduce some new players to the cast – Olivia Munn and Ken Jeong. Ride Along With Kevin Hart – Kevin Hart is as wild and fast-talking behind the scenes as he is on camera. In this up-close-and-personal piece, we go on the set and inside the trailer with Kevin as he sets up scenes, plays to camera and jokes with other cast members. Cori’s Wedding Commercial – As part of the wedding package, Cori was in charge of filming and editing Ben and Angela’s wedding video. Unfortunately, Cori accidentally recorded over the last half of the wedding with a commercial for her business.